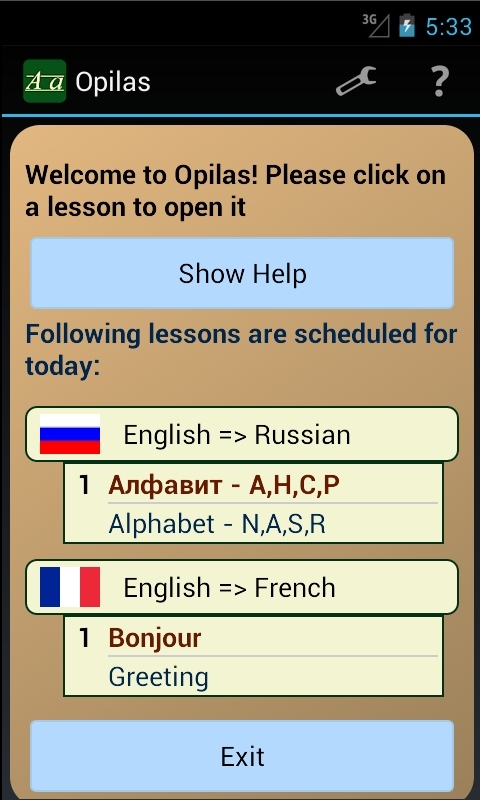 Hello and welcome to Oplias - the language learning app for Android. Learn from and with community. Opilas helps you to learn fast and effective one or several foreign languages in parallel. Absolutely no language skills are necesary. This app is developed for beginners. You learn language on a daily basis in lessons with simple phrases. The application presents max. one lesson per day. The next lesson is available next day after you've finished the previous one. Just read lessons and do exercises when Opilas reminds you. Profit from newest results from scientific researches about efficient learning and learn a language easely and without time effort by using an acceptable amount of flash cards per day. You'll know and use hundreds of words. Learn you favorite foreign language from community and contribute if you like. Opilas will help you in daily standard situations - like in Hotels, Restaurants, Shopping, Small Talk, meeting, office etc. Tags: learn language, languages, business English, daily learning, Russian, French, Holidays, Travel, Trip, Vacation, Alphabet, Vocabulary, Pronunciation trainer, words, restaurant, Russia, Moscow, Germany, Berlin, France, Paris, India, Europe, learn with free app, sentences, phrases, basic expressions, Teacher, train Cyrillic letters, Tutor. Help for school students. 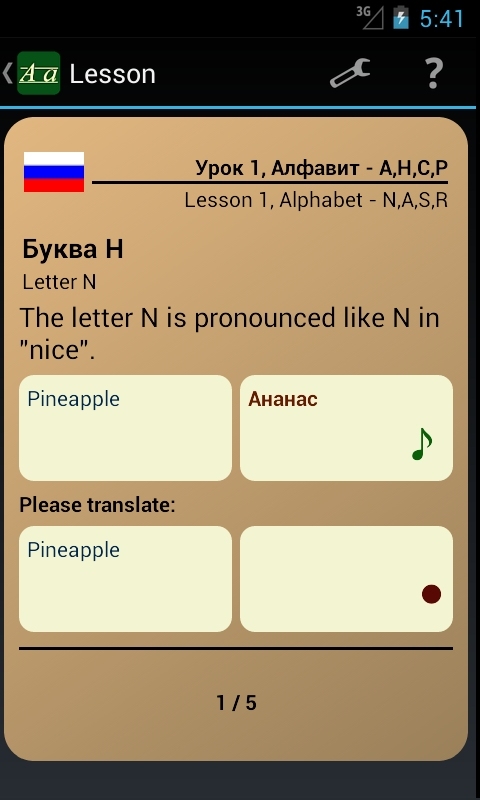 Russian ABC. Please select what you'd like to do.